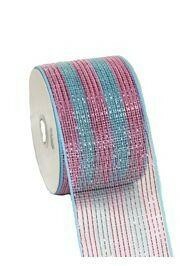 We have mesh ribbon A.K.A. 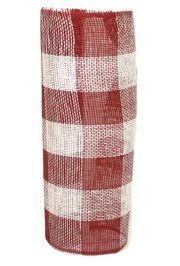 Poly Deco Mesh for gift wrapping, craft projects, and float design. 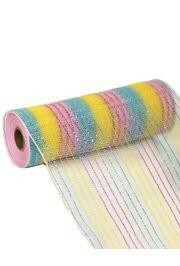 Shop our supplies of deco mesh ribbon, mesh rolls, and mesh tubing. 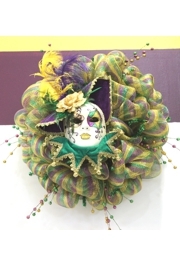 Our large collection of ribbon includes plain colors, mesh ribbon with metallic gold and silver stripes, Mardi Gras color ribbon, Patriotic Ribbon, and St. Patrick's Day green ribbon. 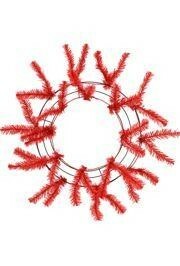 Decorate your home or front door with a nice deco mesh wreath or create your own wreath for Christmas, New Year, Mardi Gras, or Fourth of July celebration using our deco mesh ribbon and work wreath forms. 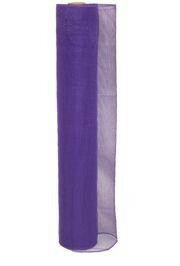 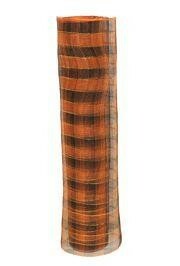 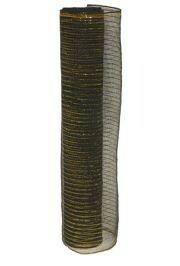 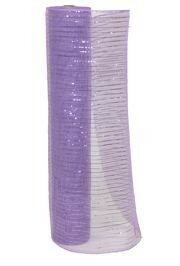 Our Deco Mesh Ribbon comes in 1½", 2½", 4", 10" and 21" wide rolls. 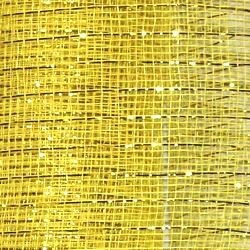 We have a large supply of Poly Deco Mesh Ribbon, Deco Mesh Netting, and Decorative Mesh Ribbon at discount and wholesale prices. 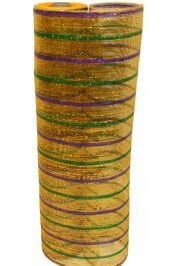 Deco Mesh Ribbon in traditional Mardi Gras colors - Purple, Green, and Gold - ideal for Mardi Gras wreaths and float decorating. 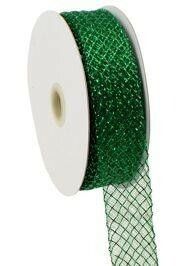 Mesh ribbon is a great tool for decorating for St. Patrick's Day. 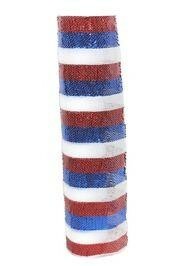 For your Patriotic event or 4th of July we can help with decorations - metallic blue ribbon, metallic red mesh ribbon, or red white and blue netting. 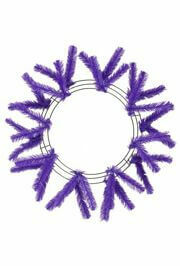 We have a large variety of single color or plain mesh ribbon. 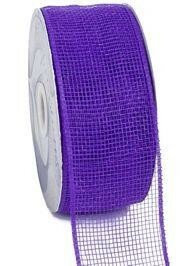 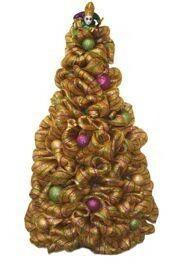 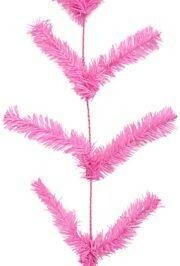 This Deco Mesh Ribbon is excellent for floral design, party decorations, gift wrapping. 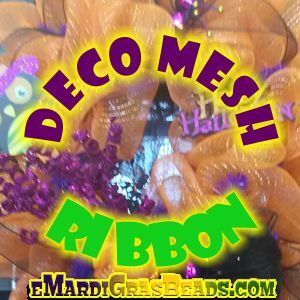 4 inch deco mesh ribbon or long poly mesh rolls is weatherproof and has been used by florists and Mardi Gras float designers! 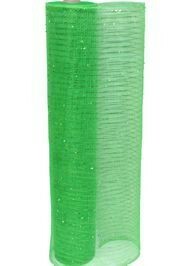 Our popular 10 inch Poly Deco Mesh ribbon is great for creating layers in your project or accenting your design when a wide ribbon is needed. 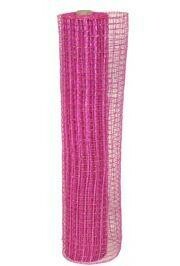 Our Deco Mesh Tubing and mesh ribbon comes in lengths of 30 yards per pack. 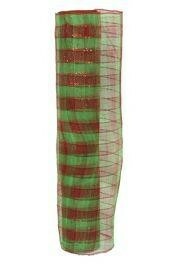 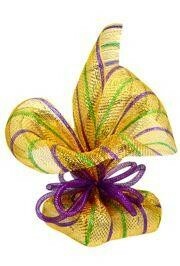 Mardi Gras deco mesh tubing will add to your crafts.